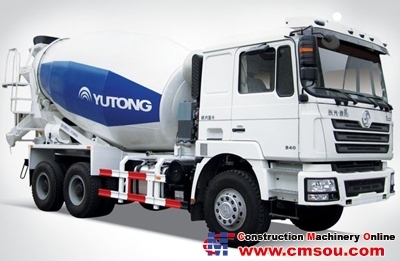 The Delong F3000 series chassis supplied by Shanxi Heavy-Duty Truck Co, Ltdand international advanced mixer truck superstructure technologies are applied, incorporating the original hydraulic system from the world well-known manufacturer to make the operation much easier and more flexible. The vehicle is provided with unique and aesthetic characteristics regarding the overall style. The tank is welded by applying advanced technologies, to produce an excellent performance and a high quality. The three major assemblies in the chassis constitute a golden combination are made up of “Weichai Power engine, Fast gearbox, and Hande axle” to present an outstanding performance.